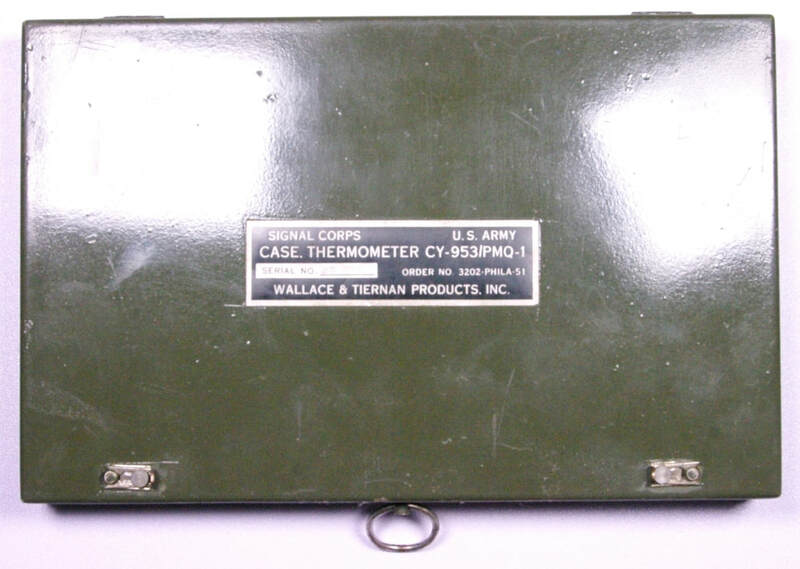 The steel case contains 3 ML-439 and 1 ML-440 thermometers. The ML-440 is the one with the smaller bulb. 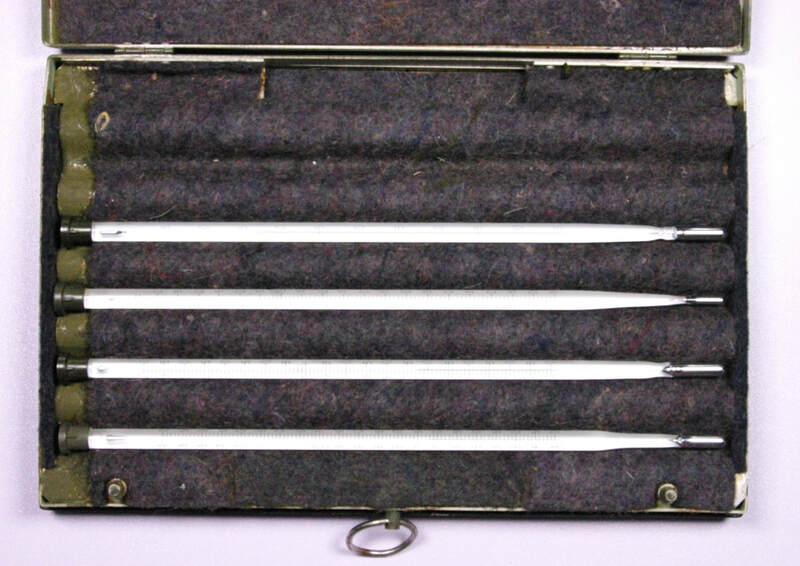 One of the thermometers was made by Weksler and one was made by H-B Instruments, the other two are unlabeled. The psychrometer is about 11.5 inches long and weighs 1.5 pounds.